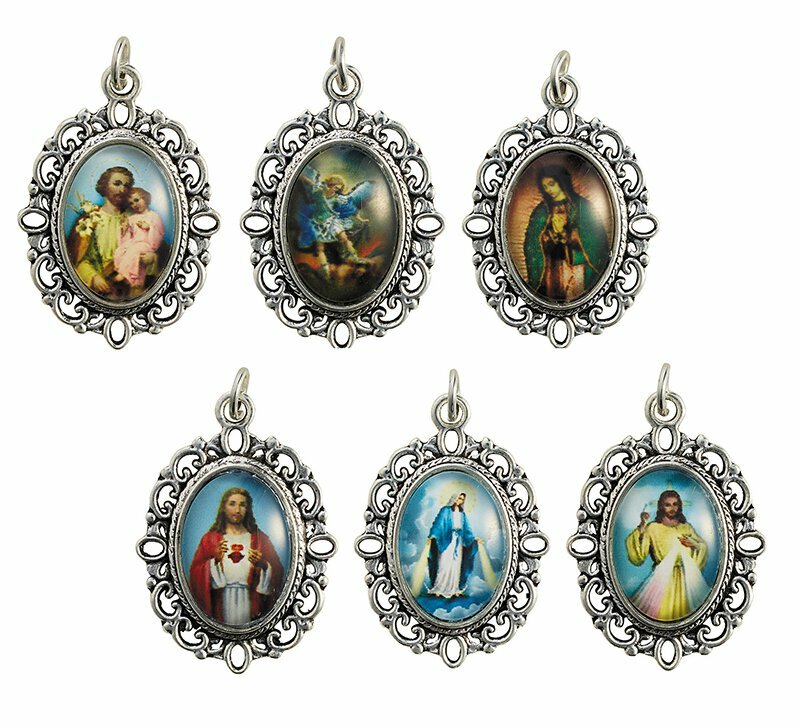 Our devotional medal assortment includes 6 assorted subjects: Our Lady of Grace, Sacred Heart, Divine Mercy, St. Michael, St. Joseph with Child and Our Lady of Guadalupe. These full-color devotional medals can be added to a chain or cord for wearing. Perfectly priced for gifts and give-aways!